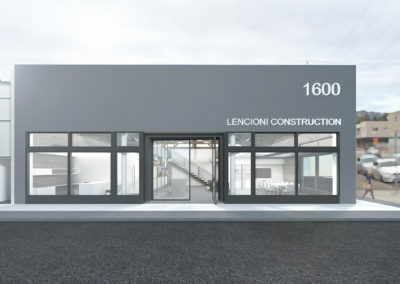 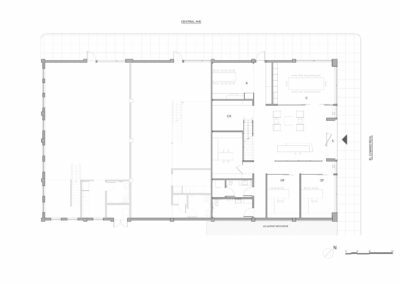 The Lencioni Construction Company’s newly acquired office building with its warehouse identity and retro architectural elements offered a strong potential to explore the dialectic between a rugged industrial shell and a sensitive modern intervention. 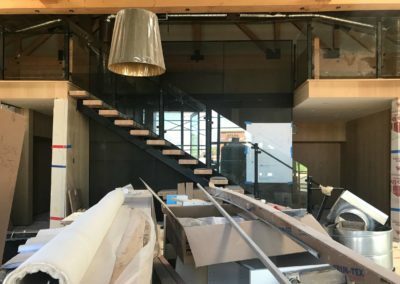 The father and son team aspired to create an interior remodel that speaks to the high-end residential work that the company is reputed for. 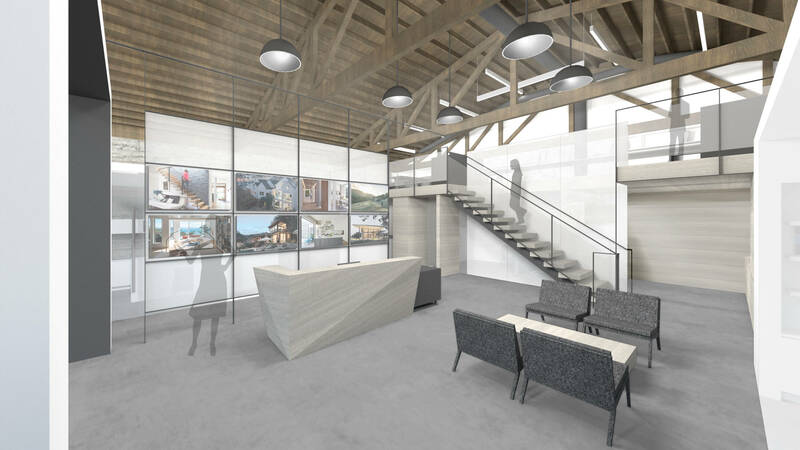 Their passion and direct engagement with the architects has resulted in the successful rejuvenation, yet honest interpretation of an old building with great bones. 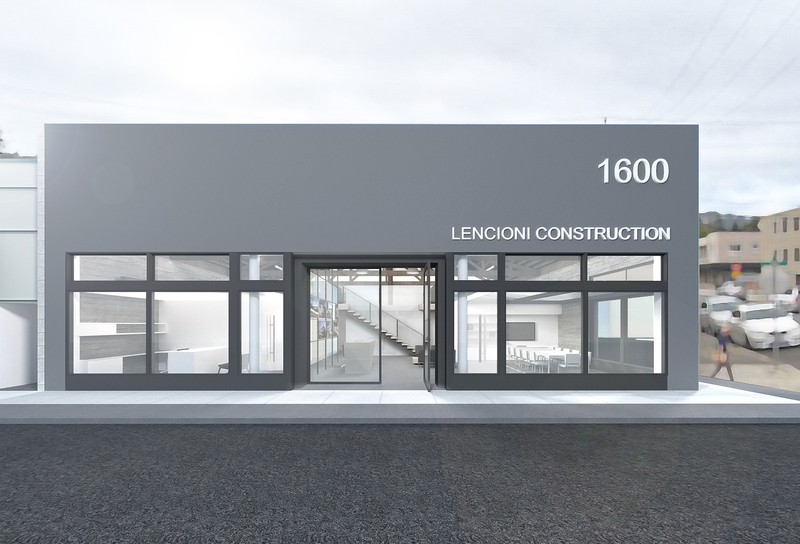 Set in the industrial center of San Carlos, the nondescript exterior facades have been pared down to simplify and unify a few chosen elements. 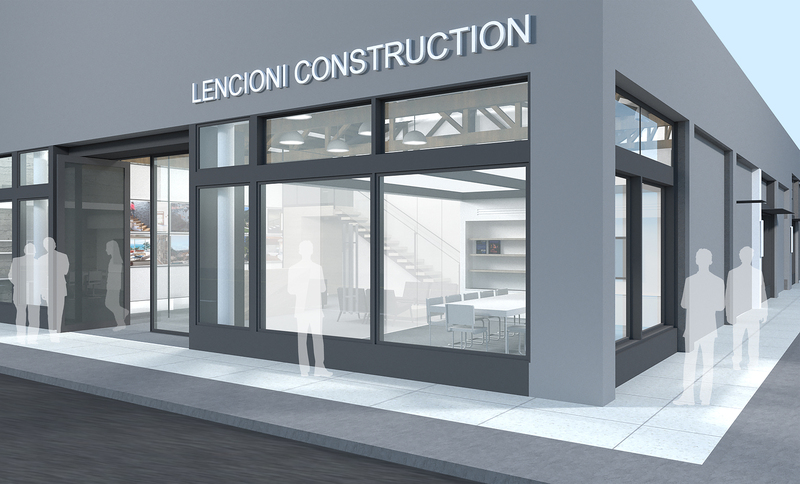 New storefront windows replace infill walls, maximizing natural daylight into the office spaces. 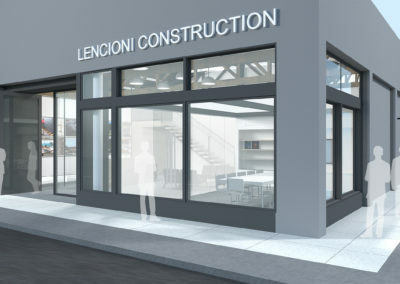 A new entry portal inserted into an otherwise flat façade, frames the primary access to the Lencioni office space, one of three units on the property. 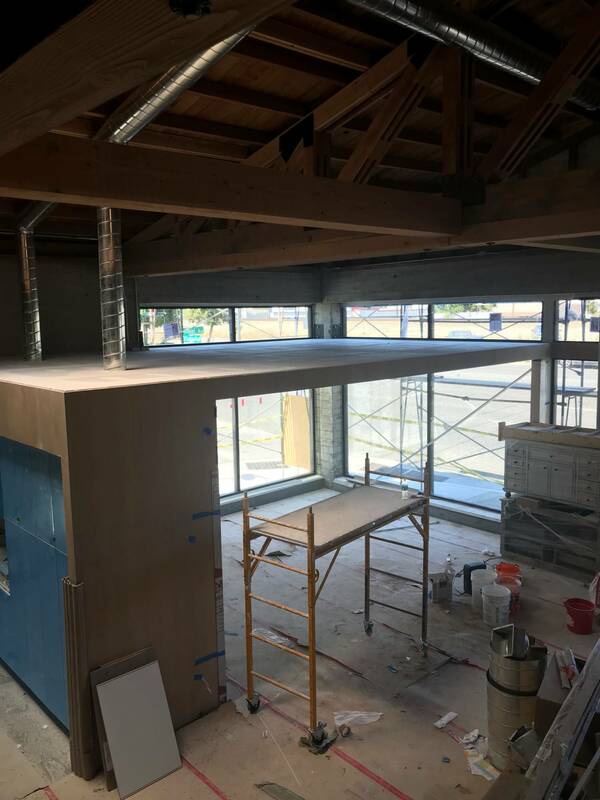 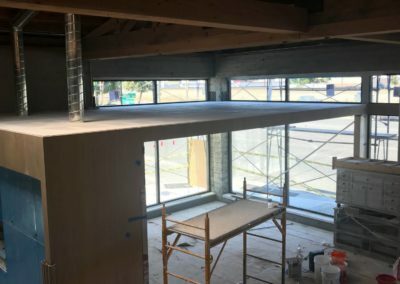 With its dark window frames paired with freshly stucco’ed walls, the building quietly asserts its presence on this busy corner of El Camino Real. The exposed concrete floors, concrete blocks, wood trusses, and ceilings have been carefully restored and refurbished to enhance the tension between and old and new. 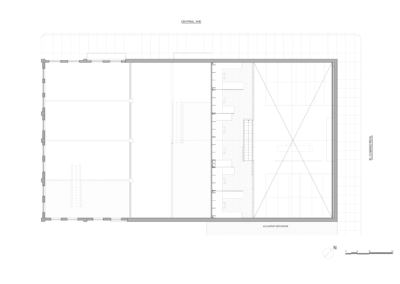 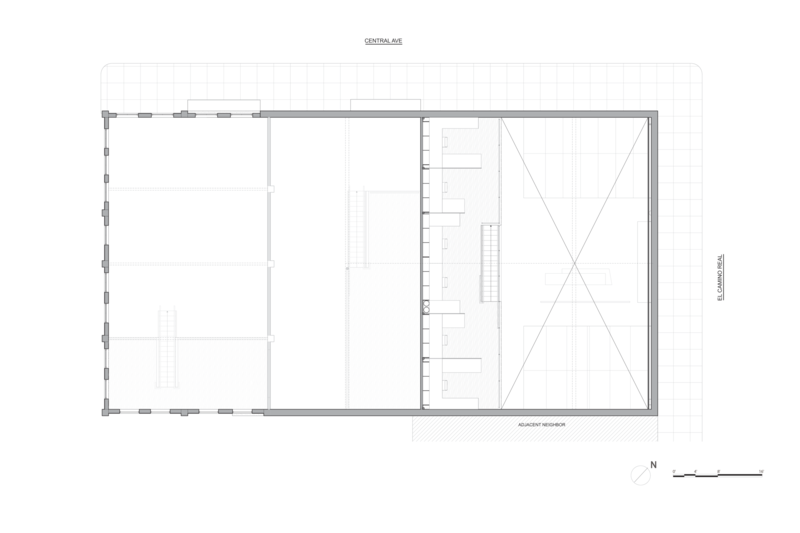 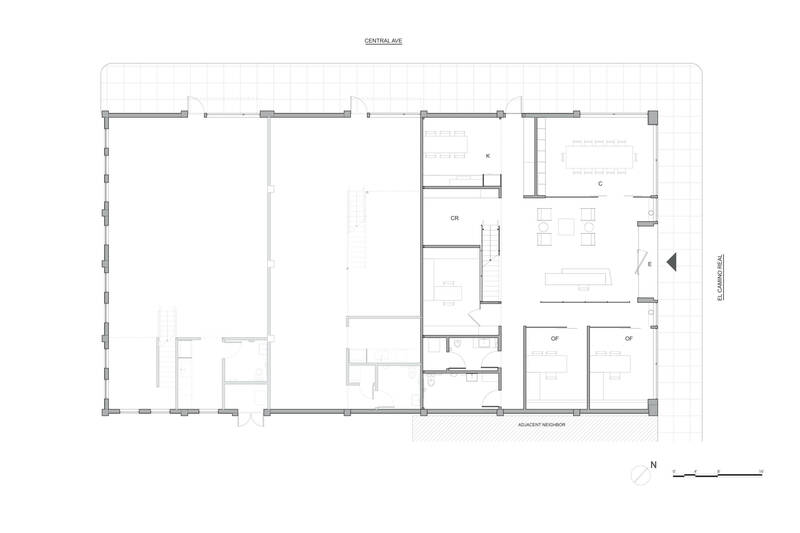 Two modern, single story, white glass cubes accommodate private offices and conference spaces that book-end a large open airy reception space. 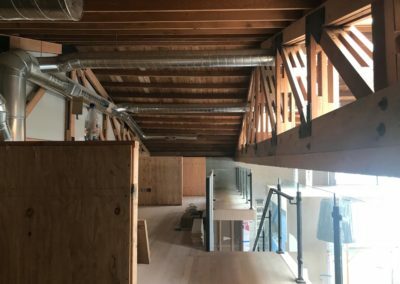 A monolithic ‘carpenter’s block’ tucked at the back of the unit creates an elevated mezzanine space with workstations that overlook the area below. 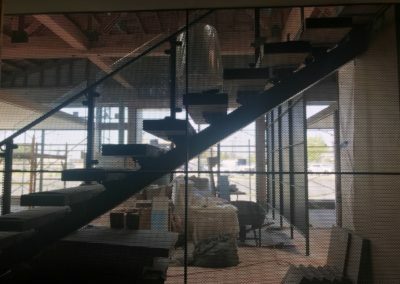 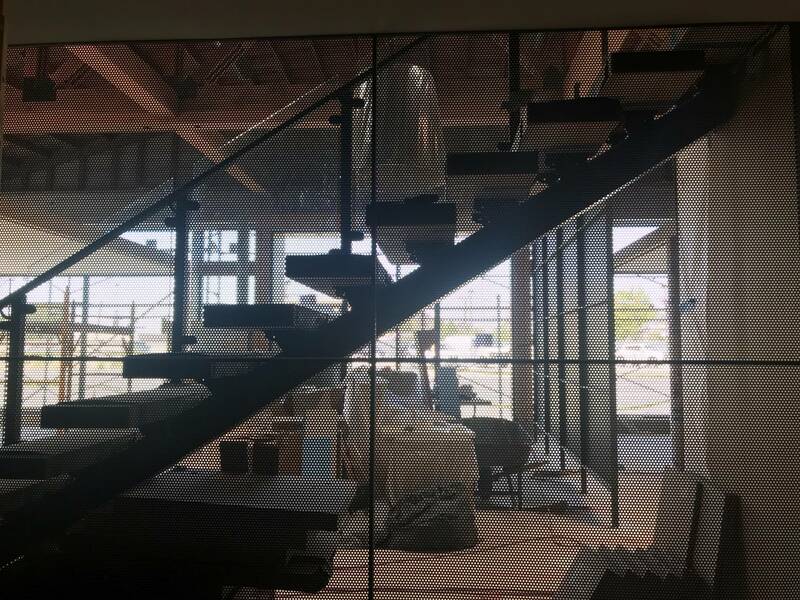 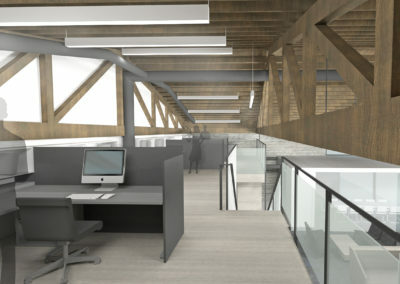 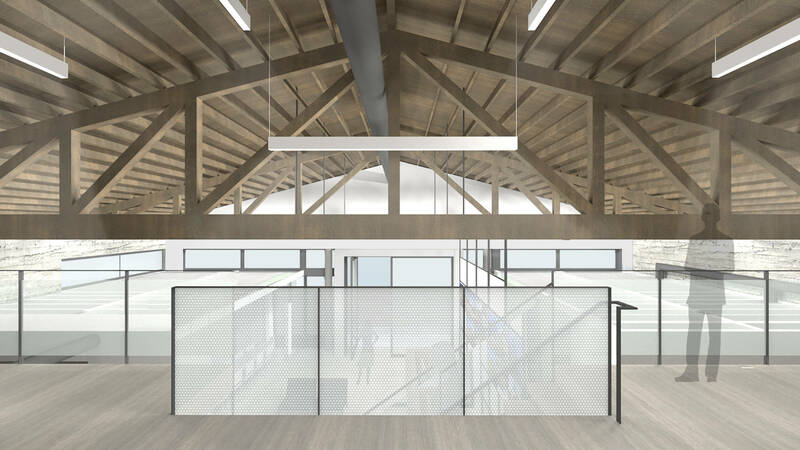 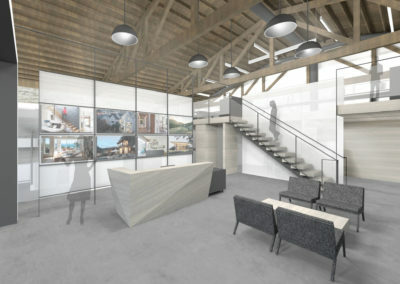 Existing trusses create the right amount of privacy between the workstations and the public spaces while perforated metal screens act as a backdrop to a sculptural reception desk and a central floating stair. 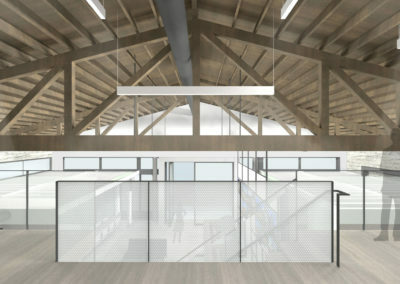 Modern details against a traditional framework characterize this unique commercial space tucked between long-established car garages and emerging contemporary properties.